So, you’re taking your first cruise…and you’re probably doing some research, trying to figure out the cruise tips you really need to know. At least that’s what I did. I must have read at least 20 blog posts titled “Everything You Need to Know About Cruising” or “Tips for First-Time Cruisers”! Now that I’ve been on a cruise, I thought it would be worthwhile to sit down and sort through all the cruise tips I was given before I left. Here’s my list of what I was expecting and then an explanation of whether it turned out to be true! So, in a sense, I guess I’m your Cruise Tip “Mythbuster”! Doesn’t this just make sense? Flights can be canceled or changed any time. You don’t want to miss your ship because of a delay or canceled flight. It does raise the cost because now you’ll be looking for a place to stay one night before you embark. We chose a place close enough to the airport to provide a free shuttle. Then we used a hotel-recommended transportation company to get to our cruise port. It was much cheaper than a cab! (We used A+ Transportation in New Orleans). It was also nice to have a little downtime before rushing off to the cruise port. So, yes, this is a good tip! Tip #2 Cruise cabin walls are metal so bring magnets and magnet hooks for decorating or hanging items. This tip is a good one. Sure enough, the cabin walls were metal, and magnets really came in handy. I had some really strong magnet hooks that held jewelry, a damp swimsuit, my cross-body bag, and my sweatshirt. The magnetic clip I brought was great for holding all loose papers (schedules, welcome letter, wifi info, etc.) on the wall, out of the way. Not entirely true. There was one regular outlet in the cabin and one European style outlet, too. Most travelers have European adapters, so I’d suggest bringing yours, too. It will give you one more way to charge any phones, cameras, etc. There is also an outlet in the bathroom intended for use with a razor. It only works when the light is turned on, so you probably won’t want to depend on using it for charging anything. Electrical devices such as fans, power strips, multi plug box outlets/adaptors, and extension cords (without surge protectors) are allowed on board when used with proper caution. However, if such devices are determined to pose a hazard, they will be removed and returned the last day of the cruise prior to debark. We decided to bring our power strip. Within the first day, a ship employee mentioned to me that power strips would be taken and held till the end of the cruise. Not wishing to argue with him, (and not wishing to have our power strip taken from us), we only used it at night when we were in our room. And then we packed it away during the day when we were not in our room. At the end of the cruise, we got lazy about doing that every day, and our power strip was not removed. So, at least in our case, this “myth” is just that — a myth. Of the cruise tips we received, this one was definitely true! And not just any athletic shoes. Make sure yours have good rubber soles with ribs or a texture that gives you some good traction. There seems to always be water on deck. I don’t know if it comes from rain, the morning dew, or from the crew washing the decks, but water collects in pools, and you can’t always see them. When we boarded the ship, my husband was still wearing dress shoes because we had just come from church. He slipped and fell. Fortunately, he only hurt his ego! Tip #6 Set out the clothes you want to take and then leave half behind. This would be minimalist packing at its best. There’s no need to do this on a cruise. You’ll find an entire closet for each person (in a two-person room) plus multiple shelves and drawers for storage. There’s even room under the bed for snorkeling gear, etc. Once you’re on the ship, it’s not like you’re having to pack and re-pack every day. I planned exactly one outfit for each day, plus two more formal outfits for elegant cruise nights. I actually wish I’d packed a little more. Sometimes, I wanted to change into something else for a show or for dinner, but I ended up having to repeat some outfits. My husband never had any problems, but he’s a guy. Women like to change their clothes, according to their moods. Am I right? So this tip is definitely a myth (at least for women)! I can’t remember who gave me this advice, and at first, I wasn’t sure if I wanted to strangle him/her! The Carnival Dream has 12 decks. Our cabin was on the 8th deck. Dinner was on the 3rd deck and the Lido Deck (pool, buffet, and fast-food) was on the 10th deck. The shows were in a theater that could be reached from the 3rd, 4th, or 5th decks, and the miniature golf and running track were on the 11th deck. Oh, and the water slides? On the 12th! We were CONSTANTLY going up or down the stairs. The first few days wore me out. I never got to the point where I could run up the stairs more than one or two decks, but it did get easier to keep taking the stairs everywhere we went. Why were there cruise tips suggesting I not take the elevator? Because it takes FOREVER! There’s always a wait for the elevators, and then they are so crowded and hot, especially when passengers are coming on the ship or leaving the ship with luggage. There are over 3000 passengers on a ship this size, and elevators just aren’t fast. If you want to use your time to do many fun things, don’t take the elevator. And hey, there’s one more bonus — I always got at least 15,000 steps in every day. At the end of the cruise, I’d only gained about 3 lbs. So, I guess this tip was a good one for me! I did take an elevator only once, because I wanted to see the view from the glass elevator. There’s a reason for this tip. It assures you won’t miss the ship when it sails away from port. If anything goes wrong with your shore excursion, the ship will have to wait for your group. There’s another reason, too. If you are anxious to get off the boat early and make the most of your port time, the shore excursions booked with the ship get to take their passengers off the ship first. So, with that reasoning, you’d have to assume that this tip is a good one. However, there’s another side to this coin. Shore excursions are typically more expensive than those you can book independently. AND the groups are larger. So you spend more time waiting. It just makes sense that a tour of 2 – 6 people is going to be more efficient than a tour of 42 people. Look for the person with the sign for your shore excursion and get in line! So, what’s the verdict? Do what works best for you. We booked two independent tours and one ship excursion for the three days we were in port. We enjoyed them all! When we booked independent tours, we only chose companies with good reviews from TripAdvisor. We liked having more customizable experiences with independent tours, but we also enjoyed not having to worry about anything on our ship-purchased shore excursion. It’s easy to get on and off the ship when it pulls into a dock. Oh, and by the way, if the ship pulls into a dock where you can walk off, there is no restriction as to when you can disembark. I didn’t even know what this meant when I first saw it. Ship time? What’s that? It is the time that all the ship’s clocks and schedules are set to, and it is the same time as the departure port (for us, that was New Orleans). Even though our cruise took us across time zones, the time on the ship never changed. And if you stay on the ship, then this is never an issue, is it? Ship time is departure port time, in this case New Orleans time. It only became as issue for us when we left the ship. On our first port day, we were in Cozumel, which is an hour later than New Orleans, or our ship time. We had told our independent tour guide that our ship was docking at 8:00 am. Guess what? It was really 9:00 am local time. Fortunately for us, our guide was able to be flexible with our “late” arrival and sent another driver to pick us up from the ferry we took to the mainland. But this all could have gone south for us. So, yes, DO be sure you keep track of ship time whenever you get off the ship! This is a flat rate beverage program that lets you drink soda or alcoholic drinks without paying the per drink fee. Since we don’t consume alcoholic drinks, I thought this would be one of the cruise tips we wouldn’t need. But when I realized that even sodas were extra, I did research my options. On Carnival, the Bottomless Bubbles plan lets you have unlimited sodas and juice for $7.50 per day plus a 15% gratuity. I do like to have a diet soda once a day, so we decided to order two six-packs from the cruise store and have them delivered to our cabin. This only cost $12.00. Since we prefer to drink water with most of our meals, we actually found it a challenge to get through our two six-packs of soda. I should also point out that lemonade and tea are always free, and on several mornings, the juices were also complimentary during breakfast. I realize we are unique, so this tip may still be a good one for you. But it was unnecessary for us. If you look long enough, you’ll probably find even more cruise tips, but these were the ones that affected us the most. I’ve shared our experience and our suggestions. We had a most incredible cruise. Now you go and have one, too! Be sure to read “What’s it Like to Come Home From Your First Cruise” . 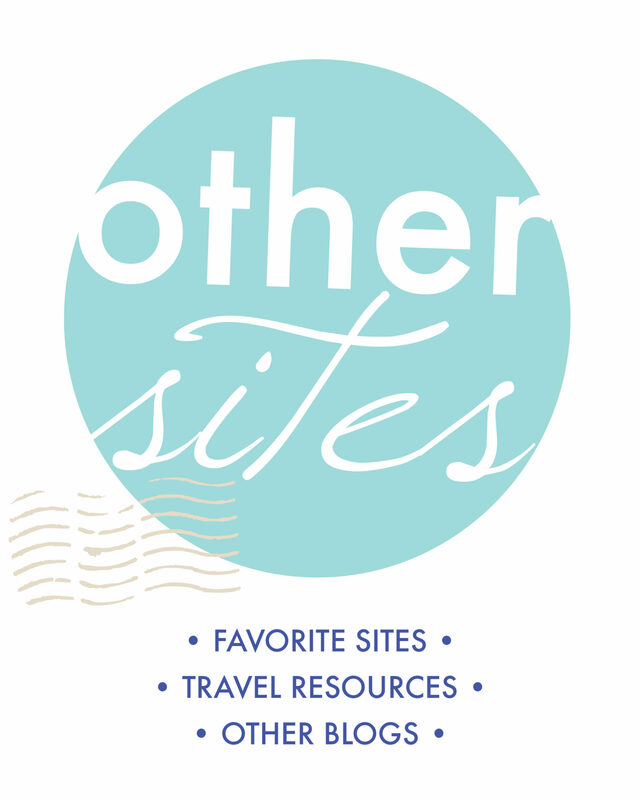 You might also enjoy reading about our port days in Cozumel, Belize, and Roatan! What a wonderful resource! I definitely want to go on a cruise, especially after reading your two posts about your experiences! Glad we had the power strip, we have so many electronic gadgets! Great tips! We have had only 2 cruises and we are taking the third one this August.So thanks so very much! I would typically say no to cruise trips because I could feel the ship swings during my sleep and then I got sea sick. This is a really informative post, I haven’t been on a Cruise yet but it is definitely an option in the near future. Will definitely be reading this advice before boarding. I love your super comprehensive and smart tips! I didn’t know the wall are magnetic! And I also agree that the cruise elevator is advisable to avoid, especially during the peak hour! I recently went on a cruise with Dream Cruises and I totally enjoyed myself. Can’t wait for the next one! I have never been on a cruise and these all sound like great tips. Particularly the tips about the electrical outlets. I didn’t think about the walls being metal. Not sure I’d bring magnets to hang up decorative items, but I might do it to bring a map of the area the cruise was traveling too. Lara, I was surprised by how many cruisers are really into decorating their room or at least the outside of their door! I just used the hooks to hang things I didn’t want to lose track of. A map would also be a good idea. 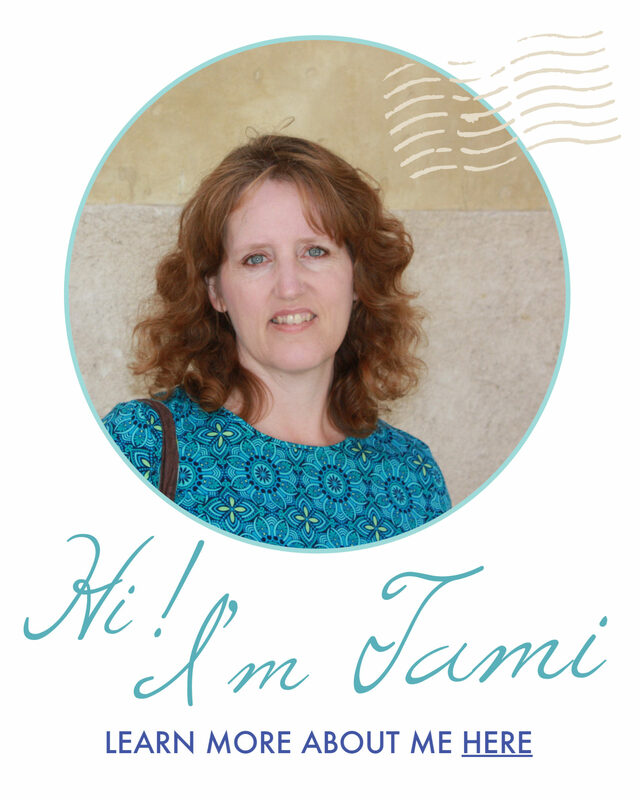 Great summary Tami! Like you, I loved the ‘no elevator’ recommendation, for the shear fact that it helped cut into weight gain because we climbed those stairs so many times! Looks like you had a great time. Thanks for the tips! Thanks, Shelley! I didn’t realize you’d been on a cruise. I’d love to hear about your experience! Wonderful extended family (only adults) cruise from Anchorage/Whittier to Vancouver, BC. It was the very BEST gathering of family we’ve had anywhere! The cruise kept everyone together for meals and activities (on-shore, people divided some) for maximum family time (games at night/meals/gym/sightseeing from deck/etc). It was fantastic and so incredibly beautiful! We fell in love with Alaska! smaller or medium sized ships less wait times, lines etc. Oh I wish you the best on your second cruise! I do think a smaller cruise ship would have some benefits! I’ve cruised several times, but I never thought to bring magnetic hooks. That’s a genius tip! We have never been on a proper cruise before. So this is definitely something we find invaluable when we plan one. These are all so practical and sensible and the fact is that no one tells you about them, so the tips are all the more invaluable. For example, the one about wearing athletic shoes is so important. After all one would not want to walk gingerly around on the deck all the time. It’s true. There is no one source that tells you all these things. That’s what I was hoping to create with this post! What a great post because cruises are so popular these days! We’ve been on a few and adore them. Your point about arriving to the port the day before is so crucial because you just can’t miss the boat departure or else you have to fly to the first destination. Also, never taking the elevators- YES. Totally agree. Let the people who struggle with walking take those and get a workout in by taking the stairs. It’s quite fun actually! Great post. Loved the way you have verified myths one by one. Sometimes experiences can be different but it is always good to know that someone took the trouble of checking each of them and validating each one for us. Am still wondering is there any reason people discourage elevators besides the waiting time? Great tips! I had no idea about the magnetic walls – wow, the things you learn! Your poor husband, falling on the first day. I’d never heard the tip about walking up the stairs instead of using the elevator – but I suppose that makes perfect sense giving how many people are on board. I have actually never heard of some of these at all. It was interesting to read the ones about using elevators and wearing athletic shoes! I’ve never been on a cruise yet, so this is a great heads-up. Some good tips for new cruisers. Even with two outlets, we found this was not enough. We always bring a multi prong adapter and a long extension cord when we travel. We just unplug them when we are not in the room. The other reason we bring good shoes is that we tend to do a lot of walking on cruises and the extra padding helps. Especially with the bouncing motion of the ship. We often to a mix of ship excursions and ones we book ourselves – it just takes time to do the research. I would change Tip 10. I think you need to understand what is and isn’t included for beverages. The cruise line we use only has alcohol as a separate package. We never drink enough to make a package worthwhile! This is a really solid list! I have been on 10 cruises and you are entirely accurate! The one thing I will say is that on the newer NCL ships I have found an abundance of outlets in the rooms – so thats a new perk! This such a helpful post! I have never been on a cruise but I have also been intrigued to go and this answers all my questions about it. I’d never even thought of ship time, but that is such a good point! I’ve heard quite a lot in the past about beverage programmes and it seems like this was really good value – it’s definitely something I’d do. I think you’ve summed up the tips exactly like I would – except one. I agree with not taking elevators because it takes FOREVER! Stairs are always better. I also agree with buying a beverage package on board. Taking athletic shoes is a good tip. The only thing I did not like doing was buying shore excursions on board – i like flexibility in schedule and choosing what to see so I usually prefer DIY excursions! It’s definitely nice to be able to be flexible. Out of our three port days, we only went on one cruise-purchased shore excursion. Our last cruise, my organized sister made removable vinyl letters of all our last names to put on the outside of our doors. It made finding each other much easier while walking down those long, long halls with identical doors! Even helped us find our own cabin! That’s a great idea, Murlene! You could have lots of fun personalizing a vinyl decal for the door!